In this audio program, you are guided to connect deeply with the three centers of Head, Heart, and Gut. These three centers are absolutely key intelligences to become aware of and live from in life. As you progress in our healing and awakening, you will eventually learn to use the body as vehicle for co-creation, wherein you hold and birth the seeds of divinity. The Gut is the place of powerful dream incubation when the Heart has released all neediness and the Head has been stilled and is able to receive pure inspiration. The more you activate the three centers, the more your body will accelerate to the state of supporting powerful manifestation. In the first audio meditation, you are led to breathing light and reaching into the point of infinity in the Heart center–the point within that may access deeper consciousness that can resolve all that appears in life, no matter how insurmountable. Your life is orchestrated by your deeper, higher Self consciousness to support your awakening to deeper self. When you face all that comes your way and deepen within, you grow in conscious self-awareness and in power to move your life in more expansive directions. The second meditation leads you to a deeper connection to Heaven and Earth, and the whole universe around you through the three centers of Intelligence. In this expanded sense of being, you are led to affirm your deeper relationship to the universe and to creation. The third audio leads you to clearing the past through the chakras, entering the zero point, and merging with your Future Self. The fourth takes you through the process of ‘vertical-awaring’–which is being aware, awake, and operating from all three centers simulateneously–as you surrender old patterns to allow new to arise and anchor deeply in the body. And a fifth contains powerful affirmations through each of the three dantien centers. These affirmations hold secrets of awakening and will work in you over time. Do them often–either with or without the audio. However, the audio has angelic elixirs that work directly in the DNA–these come from the angels that bring gifts in each of these particular centers of intelligence! Provided is the elixir blend without the affirmations as well, so that you can feel into the angelic blessings on your own too. This audio brings mindfulness to the breathing process as holding you within a great cosmic rhythm of life. You will get a sense of your consciousness as center of your life, and then behold your Higher Self as the consciousness all around you from which your life emerges. Led to your Higher Self within the zero-point of the Heart, you then discover that the depth within is directly associated with the periphery of the sphere of your life, which is the ‘racing edge’ of your being and your life. This is ever expanding as you deepen within. From this realization comes a palpable sense of how to deepen within to gain mastery of your life and become a lucid dreamer within it. This meditation works with the three centers of intelligence of Head, Heart, and Gut. Clearing past through the main chakras, releasing from family of origin enmeshment and obsolete patterns of mediocrity, and connected to a Future You that is free of these patterns and has unleashed the trapped power to serve higher vibrancy. Vertical-awaring is a method of ‘awaring’ in life from greater depth of being that engages all three centers of intelligence. 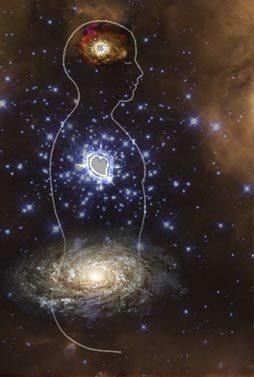 Head has the power to access god awareness, Heart is the power to bring in deeper dimensions of self that is love, and Gut is our intuition about life as well as our connection to the means of life. Head illuminates life, Heart flows the vibrational power of love that orders our reality and drives our evolution, and Gut is the portal to infinite life force energy for life. These three centers are portals to infinity, eternality, and immortality. This meditation is an introductory one to the process of healing with VA. 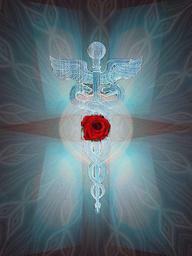 The practice of VA supports you to fully and firmly anchor in God consciousness at all times, no matter what and when. When you achieve this state of being, you are not vulnerable to what happens externally, but can remain steadfast and imperturbable–able to vibrationally access and flow the higher resolution patterns into your life. In this audio, you are gently bathed in the frequencies and light of angelic elixirs that work directly in your DNA, to clear and awaken Head, Heart, and Gut, while taking in powerful affirmations. The elixir without affirmations is also given, so that you may play it often (in your car, while jogging, etc.) as background music. 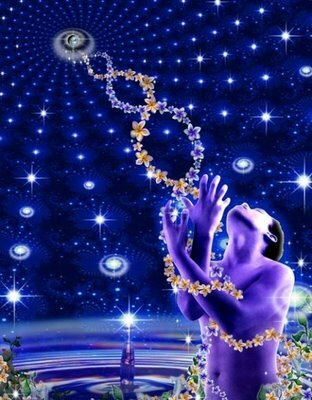 Integrating their gifts in DNA is service to mankind and to evolution. There is pdf file with the affirmations and encoded ‘power’ wheels to work with these angelic beings.